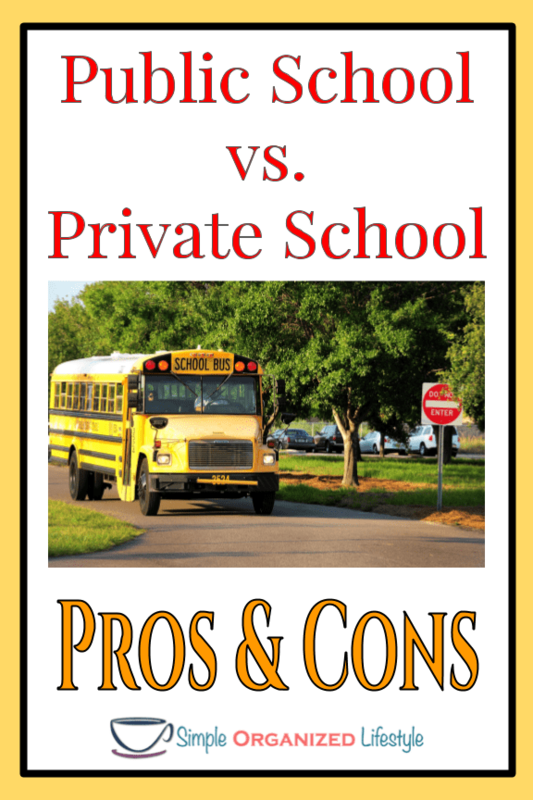 Private school vs public school has long been a debate topic and probably always will be. People are usually passionate about one or the other for valid reasons. This article will go through the pros and cons of the two school systems. It is neither pro private nor pro public. It’s purpose is to be informative as you are considering educational options for your child(ren). I’ve seen kids in public school go to private and hate it. I’ve also seen just the opposite. There are families who have one child in public, a sibling in private, and both are thriving. I will always defer to the best educational environment fit for the individual kid as all kids learn differently. What do statistics show about private vs. public school? Private school vs public school statistics are really like comparing apples to oranges. There are so many variables between the two education systems that I have yet to come across any kind of valid statistical comparison. However, there are general similarities and differences that are described below. It’s also important to note that homeschool and virtual school are also other educational options. These are a choice for some families who desire more flexibility with schedules and/or a hand picked curriculum at home. In my opinion, smaller class sizes is probably the biggest advantage of a private school over public schools. It makes a big difference what any teacher can both see and accomplish with 12 kids vs 24 kids. A smaller class size means more individual attention and more intervention before issues arise. Private schools have more flexibility in what curriculum they choose. They are not bound by state or federal mandates that limit what can be taught and how students are tested over the content. Religion and in-depth character education programs could be a more central aspect at some private schools. In addition to basic subjects, private schools tend to offer more curriculum options with foreign language and character development than public schools. Private schools do not have to grant admittance to a student with a history of continuous disruptive behavior. In the private sector, students who are constantly disruptive are going to face probation and eventual dismissal if they continue to disrupt the classroom. This is not the “class clown” or the student who makes an inappropriate behavior choice from time to time… this is true of lots of kids both in the public and private educational settings. This refers to students who have repeated disruptive behaviors and have had multiple consequences. Less disruptions creates a more calm and focused learning environment. Any private school I have ever known either has food catered, offers a meal plan, or students bring their own lunch. Either way, they offer more variety and do not have the same strict guidelines as public schools. I’ve known several public school teachers who made a career change to private and they always mention the vast difference in the quality of food. Tuition makes private schools a non-option or a struggle for many families who do not have the financial means. I’ve known families to make it happen through cutting other expenses, pursuing financial aid or grants, or taking on a job at the school for a waived, or reduced, tuition for their child. How much is private school a month? According to Private School Review, the average national average private school tuition cost is $9398/year for private elementary school and $14,205/year for private high school. I hesitate to put this here because an outstanding teacher can be non-certified (meaning they do not have a teaching degree). 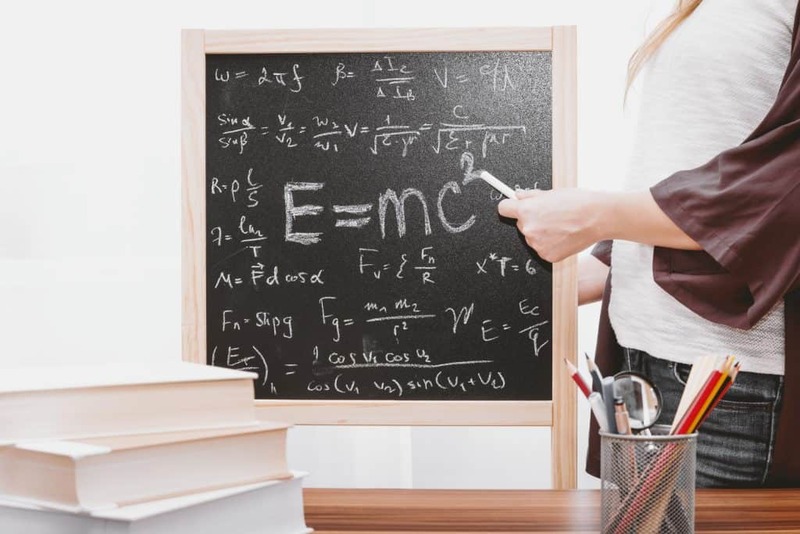 However, it could also mean that someone has not had the student teaching or internship experience to really understand the complexities of classroom management and teaching. In some cases, there are certified teachers who seek to teach in the private sector in order to have tuition waived for their own children. I’m sure there are outstanding teachers for whom this is a great option for both the parent and the school, but there are also times where this could create other conflicts of interest. Private schools do not have to offer additional services for transportation and/or academic support. They are not obligated to follow a student’s Individualized Education Plan (IEP) that may have been developed in another school setting based on specific learning needs. This may not be true of all private school settings, but in general, there are less options for extra curricular activities in the private school setting because of staff and facility limitations. However, you could have students on private school sports teams who are able to improve their skills and participate more than students in large public schools with more competition for a few positions. Some private schools may require students to travel further than they would for a public school location. This could also impact different schedules and social events among students who live in the same neighborhood community. Almost always, one of the first benefits you will see for public schools is that it’s free. It is free in a sense that you can’t charge tuition. However, as any parent of kids in public school will tell you, it is not really free. There are meals, field trips, yearbooks, fundraisers and the list goes on. However, it is an advantage in that those costs are significantly less than tuition at a private school. Property owners are also paying school taxes, which could be higher depending on the home ownership costs in your school zone. It is an exciting time in public education high schools with the availability of expanded options for college credit. Dual enrollment programs are offering amazing opportunities for high school students to potentially enter college with up to a year (or more) of transferred credits! That is both a wise educational and financial advantage. Virtual classes are also providing more curriculum choices and a way for students to have more flexibility with courses and scheduling within the public school setting. Public schools generally offer a wide variety of extra curricular academic or fine arts activities. There are usually facilities and staff to accommodate a wide range of sports and extra curricular activities, which may be more limited in a private school setting. Teachers in public schools are required to complete state certification programs. It requires ongoing professional development and a semester or year long internship experience as well as meeting subject matter requirements. There are accountability and renewal requirements in place to retain their certification. Public schools must provide certain services, such as transportation, reduced/free lunch, and special education. Special education may include additional academic services to meet the needs of gifted learners, second language learners and/or the needs of students with learning disabilities. Although there are exceptions, most public school classrooms (especially at the high school level) have larger class sizes of up to 30 or more students. That does not mean the learning environment is always unruly, it’s just more difficult to give individual students attention. When you think about a teacher’s responsibility for 30 or more students, which includes grading, parent meetings, material preparations, etc. it compromises the potential of the learning environment. Public schools are both funded by and bound to federal, state and local mandates. Sometimes the mandates do not make sense and that is a common source of frustration among public school educators. There is not as much flexibility in curriculum choices in the public schools. Teachers often have some level of control over how they teach, but not what they teach. This is a common complaint among public school teachers because the amount of material to cover in a short amount of time leaves little room for creativity. The content must be covered in a short amount of time to prepare students for high stakes testing. Speaking of high stakes testing and assessments, public schools have the disadvantage of many more required assessment and accountability measures than in the private schools. Public schools cannot deny enrollment to any student. Students who are continually disruptive in the public school setting face consequences, but only in the most severe circumstances are students expelled. Severe disruptive students is in reference to students with a discipline record that continues to get longer and more severe with each year of school. Expulsion is extremely rare and only an option for the most severe offenses. As stated earlier, this is not the “class clown” or the student who makes an inappropriate behavior choice from time to time… this is true of lots of kids both in the public and private educational settings. School nutrition workers are limited by federal guidelines to what food they can buy, how they prepare it, and the actual servings. Side note: I was part of the public school system at one time when they changed milks to be more cost effective. It tasted like water with a teaspoon of milk mixed in. I have never seen so much milk go into the trash can…and I didn’t blame the students! There is much room for improvement with public school nutrition guidelines and food choices. Each of these pros and cons should be considered in a decision that’s made according to the ideal learning environment for the individual child and the family. In addition, other great resources are speaking with people in the community as well as touring both private and public schools.